Cut cabbage into julienne strips, marinate with salt for 2 hours, squeeze out water and set aside. Blanch bean curd puffs in boiling water for a while. Drain, cut into pieces and set aside. 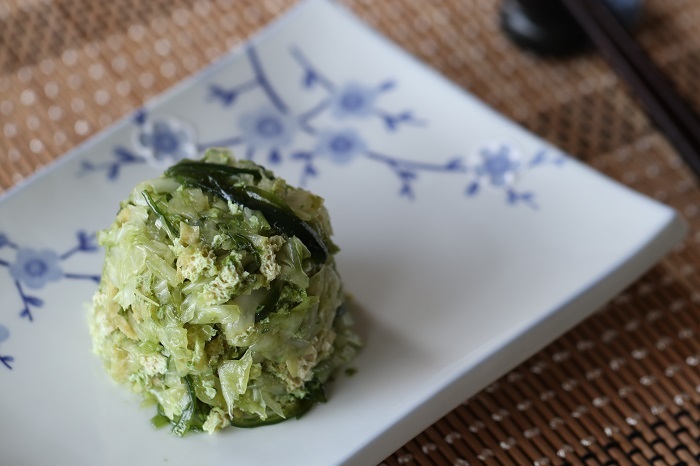 Put cabbage and bean curd puffs in a big bowl, add seasonings and toss well. Other dressing can be used instead according to personal preference.